No one expects to have heart trouble, which makes it easy to ignore chest pain and other symptoms. But, do you know what happens during a heart attack? 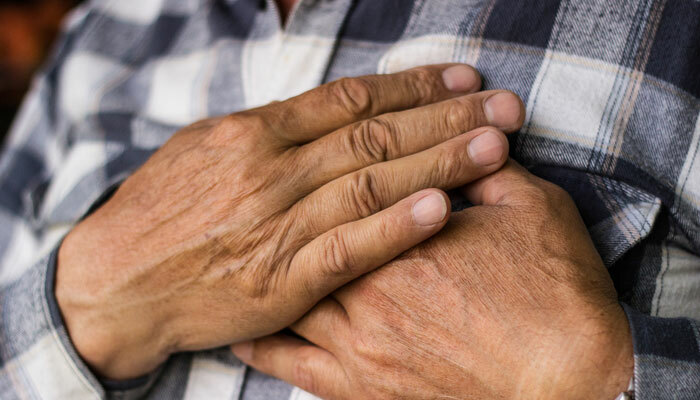 Mohit Chawla, MD, UnityPoint Health, explains the different stages, signs of a heart attack to watch for and why getting medical attention quickly is so important. In simplest terms, a heart attack is when part of the heart muscle isn’t getting enough blood. The most common cause is a partial or complete blockage of a blood vessel, preventing enough oxygen or blood from reaching the heart. Stable angina. Blood vessels are still open, but not completely. Symptoms occur during periods of high activity, such as climbing multiple sets of stairs, which is when the heart isn’t receiving enough blood to sustain the activity. Unstable angina. Plague and blockage are growing, making symptoms occur more frequently with less physical activity. Enough blood gets to the heart during periods when there is no chest pain. There is no heart damage yet. Heart attack with partial blockage. While the blockage isn’t complete, there is enough to cause heart damage. Full heart attack or complete blockage. No blood is going to part of the heart, and there is 100 percent blockage. Pain is constant and comes with classic heart attack symptoms. Immediate medical attention is needed to prevent further damage or even death. Dr. Chawla says many factors can contribute to causing a heart attack. Some, like family history, we can’t control. But, others, such as smoking, high blood pressure, high cholesterol, diabetes and stress, we can through proper management. What are the Signs of a Heart Attack in Women and Men? Onset. Heart attack symptoms (shortness of breath, sharp chest pain, arm pain, etc.) usually start gradually, with the intensity of those symptoms coming and going. Provocation. Pain from symptoms is “provoked,” or gets worse, with physical activity or exercise. After resting, the symptoms improve. Quality. This describes how the symptoms feel. People tend to feel more discomfort or pressure than stabbing pain, which is why they often ignore symptoms. Radiation. How heart attack symptoms are felt in other parts of the body, like the stomach, shoulders, arms and jaw. Site. Symptoms aren’t usually one, pinpointed spot. For example, someone might experience a generalized ache across the whole chest, rather than just over the heart. Time. How long heart attack symptoms occur. Mild heart attack symptoms might only occur for two to five minutes then stop with rest. A full heart attack with complete blockage lasts much longer, sometimes for more than 20 minutes. “If you experience anything that seems like heart attack symptoms, call 911 immediately. You can’t ignore something as serious as a heart attack, or it might be the last time you ever brush anything off. It’s better to be seen by a medical professional than to assume it’s not a heart attack,” Dr. Chawla says. If you’re with someone who appears to be having a heart attack, calling 911 is still the very first thing you should do. “Getting medical support for that person as soon as you can is always your first action. When waiting for an ambulance to arrive, taking aspirin is a reasonable step. If this isn’t the first heart problem for the individual, taking nitroglycerin is also a good measure, along with an aspirin,” Dr. Chawla says. Even if symptoms don’t seem too serious, don’t drive to the hospital during a heart attack. What Happens After a Heart Attack? Treatment for a heart attack requires a coronary intervention, where a cardiologist goes into the heart through an artery in the wrist or leg to find the blockage and places a stent to fix the blockage. Medication is used to prevent future blockages. But, if multiple blockages are found, a cardiac surgeon may need to do open heart surgery. What Can You Do to Prevent Another Heart Attack? “If you’ve experienced a heart attack, you’re definitely at risk to have another. Doing things like stopping smoking and lowering your cholesterol help reduce that risk. If you’re someone with diabetes, you’re already at higher risk,” Dr. Chawla says. He also suggests being more mindful in the colder months in the northern hemisphere. During winter, the cold weather constricts blood vessels even further. Add in shoveling, working hard outside and stress, and heart attacks become more common. Regardless of time of year, talking to your doctor about any health changes you’re experiencing is a good idea. “If something’s changed in last two weeks and you are wondering about heart attack symptoms, it’s better to get help earlier and prevent long-term consequences of heart damage,” Dr. Chawla says.